We don’t really do Valentine’s Day like we used to in our younger days and at the end of the day it is very annoying if you’re single (and don’t get a card) and quite a commercial racket! With the credit crunch in full swing I decided that wasting money on cards was not on the agenda and suggested we make each other one. With my husband being a graphic designer this is quite easy for him and he’s made me cards in the past that were far better than the ones you get in the shops. So as I’m more confident in the kitchen I decided to make my husband some chocolates instead. It was a bit of a Blue Peter moment and everything went to plan until I realised that my chocolates were not going to leave the mini tart tin I’d made them in. Therefore do as I say and not as I did. These chocolates need to be made in a silicone chocolate mold. I had to melt my chocolates to get them out of the tin so they ended up a lot smaller with much of the chocolate left in the tin – but the kids and I did enjoy spooning out the residue! These chocolates were made from 2 and a half bars of Value chocolate so cost 75p to make 12 chocolates. That’s cheaper than a card and in my view far more thoughtful. 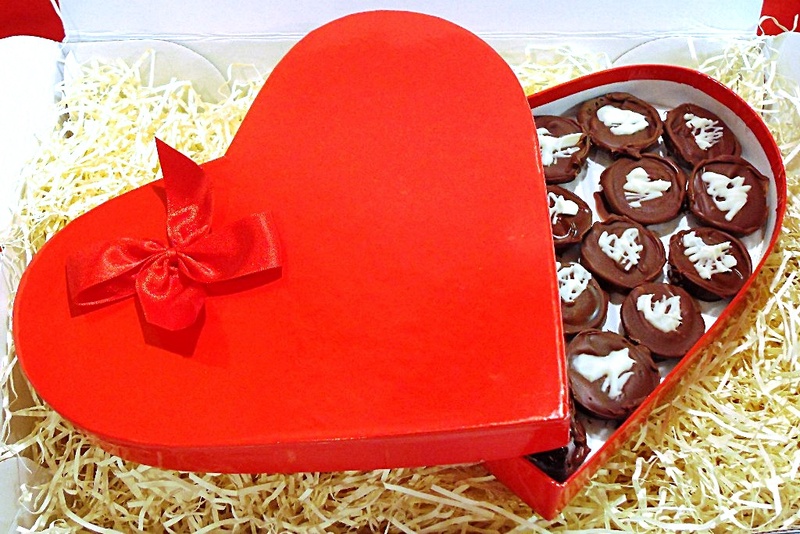 I gave my husband his Budget Valentine Chocolates tonight and he said he’d share them with me and the children – aah! Before I could put them back in the fridge he had another one, so that’s all the seal of approval I need! I am entering my Budget Valentine Chocolates into Credit Crunch Munch as they really are frugal. 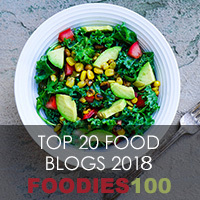 I run this challenge with the lovely Helen of Fuss Free Flavours and I am hosting this month so do join in! 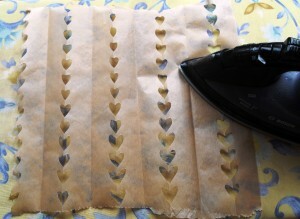 Start by making a template by folding baking parchment and cutting out 1/2 heart shapes. Then iron the heart template flat. 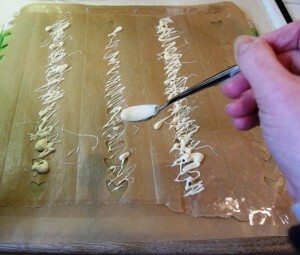 Melt the white chocolate over a pan of hot water. Drizzle the hot chocolate over the heart template. Peel off the template to leave the white heart decals. Next melt the milk or dark chocolate. 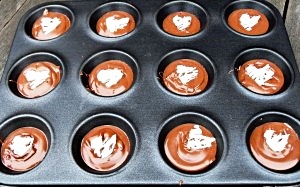 Spoon the hot chocolate into lined tin or silicone mould. Before the hot chocolate sets add the white chocolate heart decals. Give to your loved one and enjoy the compliments! 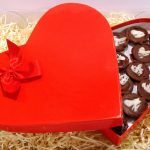 Hand made chocolates with white chocolate heart detail. Take a sheet of baking parchment and fold it into a concertina shape. Take a pencil and draw half a heart shape all the way along the sheet. Cut out the heart shapes with a pair of scissors. Open out the sheet of parchment and iron flat. 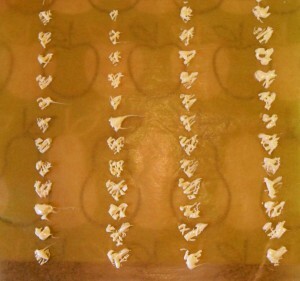 Stick this with tape onto another sheet of baking parchment. 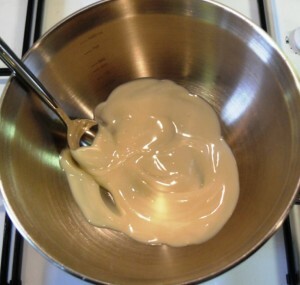 Melt the white chocolate in a bowl over a pan of water on a low heat. Take a spoon and drizzle the white chocolate over the heart templates. 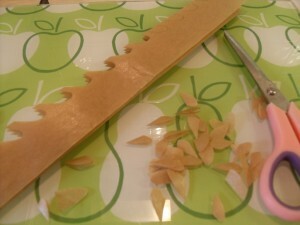 Before they harden remove the top layer of baking parchment to leave the heart decals. Put in a cool place to set. 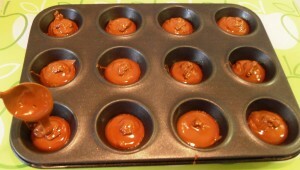 Then melt the dark & milk chocolate in the same way and divide between 12 holes in a silicon chocolate mold. Let these cool down but before they completely harden top with the white chocolate heart decals. 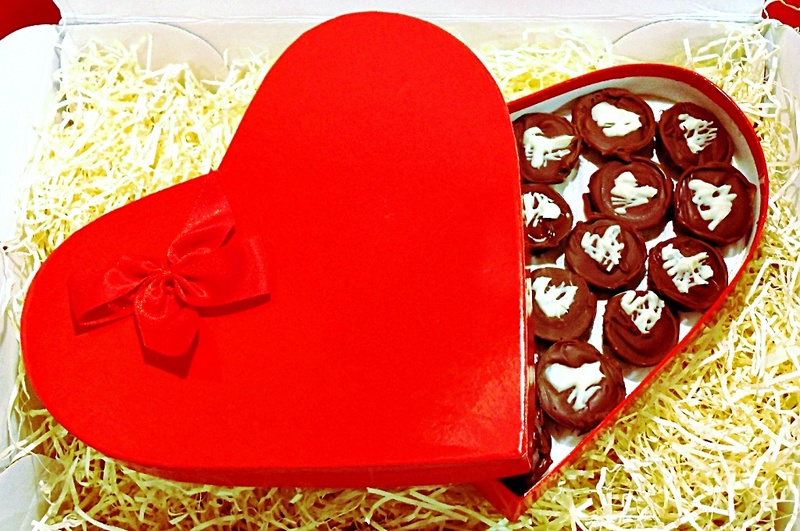 Put in a cool place and once hard decant the chocolates and place in a nice box! With Valentines day fast approaching these are perfect! Thanks! 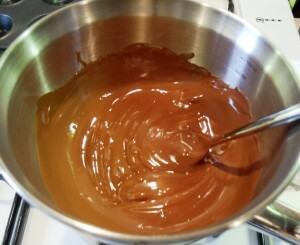 Making your own chocolates is great fun! Fabulous, low cost idea for chocolates. Will definitely line the tin though! 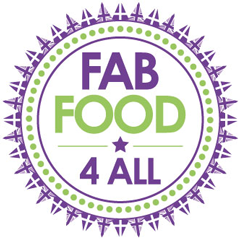 Those are fabulous! Great idea! I will have to try it next year! I really like these…so much thought went into them its a lovely idea! I love these Camilla! Absolutely the meaning of Valentine’s and showing you love someone and going to the effort to make them! Buying an extravagant bunch of flowers is very very easy isn’t it? Making less so. Thanks Jen, it was a very close call LOL!